Wall Panels are an cost-effective way to add a level of privacy and sound reduction in a busy workplace. We can custom design & build internal wall panels to any size and you need based on the office requirements & goals you have. 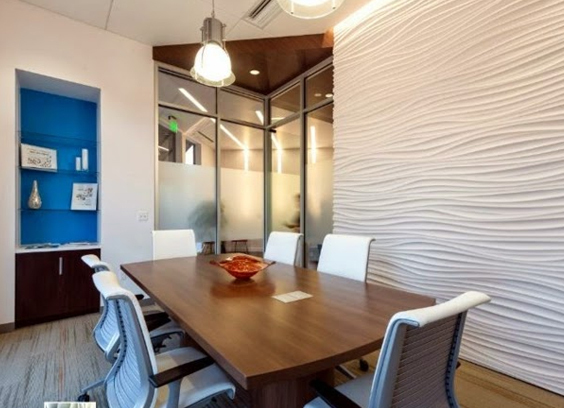 Bring your Office walls to life with fresh contemporary textured wall designs. 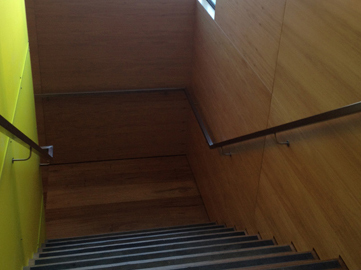 Our interior office fit out team can design wall panels that are made from natural materials. Our current selection includes Plant fibre wall panels, MDF Wood wall panels, Mosaic real Wood paneling & thin stone veneer. Our Internal wall panels provide another dimension to your office space &compliment just about any open space or meeting room in your office. How do you take a large, open space and turn it into the ideal working environment? Office dividers, of course! These partitions offer an effective means of transforming a large, open space into a modular office space. Office dividers offer privacy to your employees and a visual barrier to the hustle and bustle of the environment surrounding them. They can also be effectively used to partition off individual or group workspaces in an open plan environment, bringing a sense of organisation to an open space. Many business owners fear that office dividers might take away from the overall look and feel of their office design. This may be the case if the required thought isn’t put into the design and selection of your office partitions. When you draft in the help of design experts like Next Gen Interiors, office dividers can serve to take your office design to a whole new level of greatness. At Next Gen Interiors, our expert team look to design and select office partitions that will improve the aesthetic design and functional capabilities of your office space. With some thinking, planning, asking, daydreaming and discussion, we can design and install office partitions that will have the best impact on your office design. 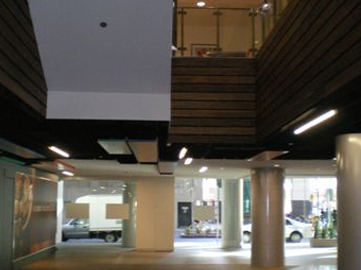 What’s more is we can design and manufacture the best office dividers Melbourne has to offer without requiring an extraordinary budget. We strive to provide high-end solutions at an affordable cost for our clients. For Internal Wall Panel pricing, call our team today for a free quote.